Liverpool registered a 2-1 victory at Etihad and made it 5-1 on aggregate as they had earlier won the first leg 3-0 against Manchester City. Elsewhere, Roma upset the odds against Barcelona after securing a 3-0 victory over the Spanish giants. 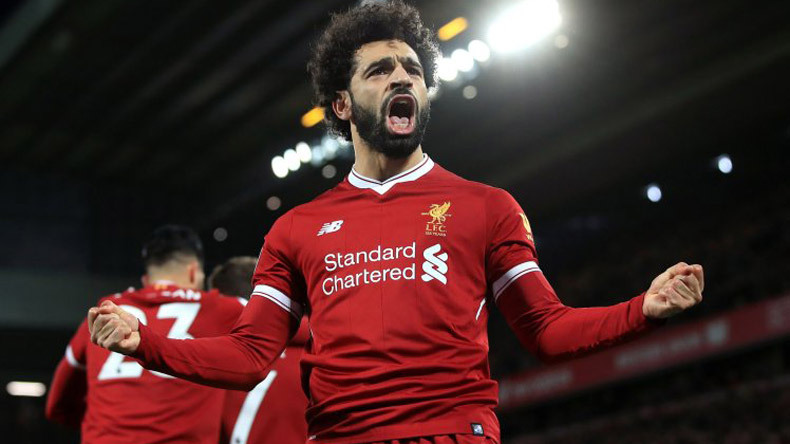 Riding on their talisman Mohamed Salah’s red-hot form this season, Liverpool registered a famous 2-1 victory over Manchester City at Etihad and cruised into the semi-finals of UEFA Champions League. With the emphatic win in the second leg of the quarter-final match, Jurgen Klopp’s men secured a 5-1 (aggregate) win over Pep Guardiola’s high-flying squad. The Spanish coach appeared an animated figure at the sidelines and was shown red card by the referee after he rushed into the field to confront the match official during halftime. Firecrackers were expected in the match as Manchester City were trailing Liverpool 0-3 from the first leg. The hosts got off to a spectacular start as they opened the scoring in the 2nd minute when Gabriel Jesus buried a cool finish at the back of the net. The attacking trio of Jesus, Bernardo Silva, and Leroy Sane launched a barrage of attacks at the Liverpool defence but the visitors were lucky on more than one occasion. Bernardo Silva came agonisingly close to doubling Manchester City’s lead in the match but the goal post denied him that privilege. Pep Guardiola lost his cool when the referee controversially ruled out Leroy Sane’s goal as an offside, the Spaniard rushed to the field in anger to confront the referee. The former Barcelona manager was sent off for his poor conduct on the pitch. After soaking in the attacks of Manchester City, Liverpool turned the tables in the second half of the match and shifted the momentum. Liverpool’s man of the season Mohamed Salah was at it again and scored a fantastic chip past Ederson to equalise score for his side in the crucial match. Later in the 77th minute, Roberto Firmino ended Manchester City’s Champions League hopes with another goal. The Reds registered a 2-1 victory at Etihad and made it 5-1 on aggregate as they had earlier won the first leg 3-0 against Manchester City. Elsewhere, Roma upset the odds against Barcelona after securing a 3-0 victory over the Spanish giants.